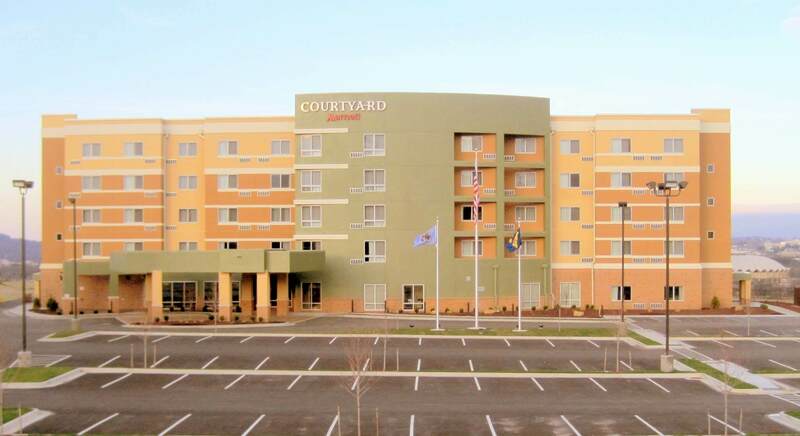 Courtyard by Marriott Morgantown is ready to help you stay connected, productive and refreshed! Perched on top a highpoint in Morgantown, every room has a landmark view! Get work done in the privacy of your tech-enabled room or meet up with others in a lobby media pod or at the outdoor firepit. Free Wi-Fi lets you stay connected everywhere in the hotel. Choose from healthy menu offerings for breakfast and dinner at The Bistro, or visit the 24-Hour Marketplace when you need to grab and go. Work off stress in the spacious fitness room or indoor pool then kick-back to sip and relax under the stars by the outdoor firepit. 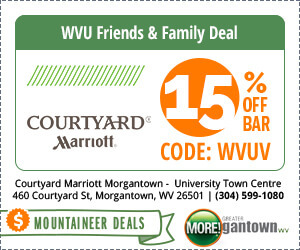 Catch a West Virginia University or WV Black Bears ballgame across the street. Enjoy the diverse shopping, dining and entertainment options just minutes away. Near I-79 and I-68. Close to WVU, Mylan Park, University Town Centre, Ruby and MonGen Hospitals.